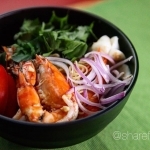 Here's our Thai Spicy Instant Noodle with Seafood recipe for you and your family! Instant noodle made healthy! 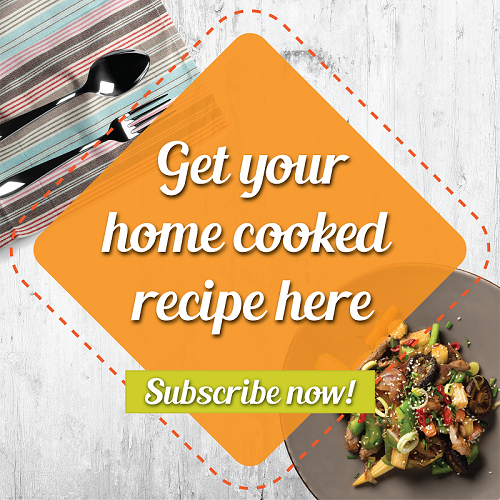 Throw away the condiments that are within the packet of noodle and learn how to make your very own healthy edition of instant noodle! You can easily find this popular instant noodle on the streets of Bangkok too. It is tasty, spicy and 'shiok' altogether! 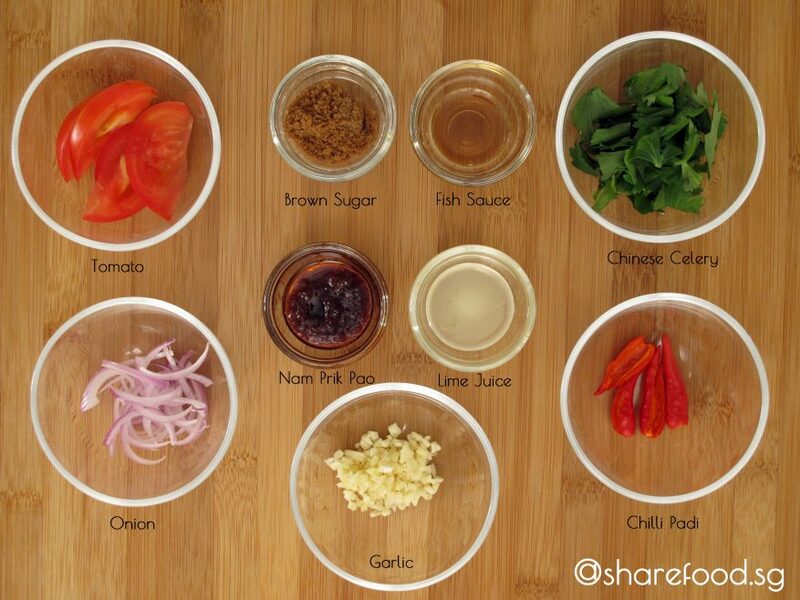 Step 1 – Mixing the sauce: In a mixing bowl, add sugar, lime juice, Namprik Pao, fish sauce, chilli padi and garlic. Stir well until sugar dissolve and adjust the seasoning to your own taste preference. （酱-在搅拌碗，加白糖，柠檬汁，Nam Prik pao，鱼露，小辣椒和大蒜。搅拌均匀至到糖溶化.